Short brings a broad range of experience and influences to the creative music scene. A native of Rock Island, Illinois, his early music education came through listening to records - early jazz at home, the local library's recordings of Ellington, Parker and Coltrane, the music of India, early 20th-century concert music, and the unique creations of Harry Partch, whose music and instruments Short studied in San Diego, 1974. He received Bachelor and Master of Music degrees from Northern Illinois University, Dekalb, where he was a member of the NIU World Music group performing Balinese and Javanese gamelan, and gave a series of percussion recitals featuring his own works. In 1981, Short formed "Worry Later", a Chicago quintet that featured the music of Thelonious Monk. He then spent four years in New Orleans, where he performed his music at two New Music Festivals in that city. Short was also producer and host of jazz radio programs in Dekalb and New Orleans from 1977-1987; these shows covered the history of creative music, regularly featuring lesser-known soloists and composers from the 50's through the current period. Short's compositions range from evocations of New Orleans street bands to intricate conversations akin to contemporary chamber music. Short's first album, Penguin Shuffle, a combination of 1986 sessions from New Orleans and Dekalb, was released in early 1988 to widespread critical acclaim The six originals were composed between 1979-1985, and stylistically range from mainstream to avant-garde. 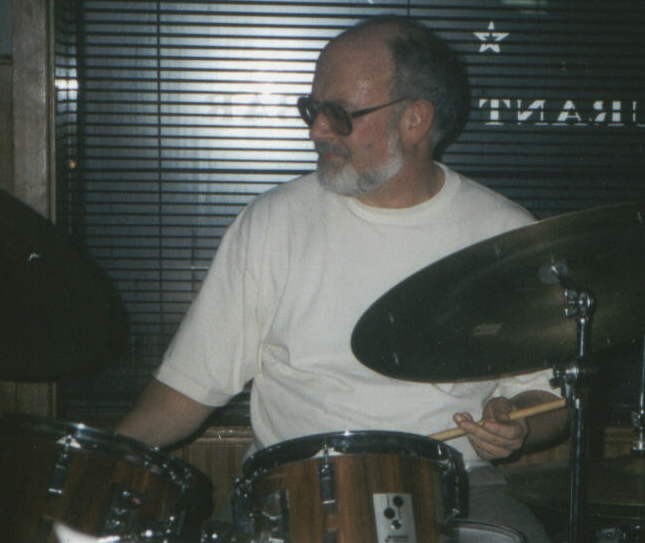 His groups have performed at Chicago concert venues such as Southend Musicworks, Hot House, Link's Hall, Lunar Cabaret, and the Chicago Jazz Festival and Club Tours. Short has received grants from the Arts Midwest Touring Program and Meet the Composer; in 1993 he was selected for the "Live Showcase" at the 1993 presenters' conference of the National Jazz Service Organization, and was a finalist in the 1993 Hennessy "Best of Chicago Jazz Search". In December, 1994, Chicago's Southport label released Short's second album, All of the Above. This compilation of original work features five extended realizations of the leader's compositional and group vision, with influences drawn from Mingus. Ellington, Dolphy, Braxton, Berg and Messiaen. All of the Above features the talents of trumpeter Paul Smoker, Paul Scea on reeds, Jim Yanda on guitar, bassist Larry Kohut and bass trumpeter Ryan Shultz. In June 1995 this 'national' edition of Short's ensemble appeared at the "What is Jazz Festival" at New York's Knitting Factory. A pair of studio collaborations with Paul Scea in March of 1997 produced two Southport CDs: a November, 1998 release, Removable Media, a quartet session (jointly composed) featuring Shultz and bassist Noel Kupersmith; and a set of duo improvisations, Balance of Power, released in September 1999. The 'national group' heard on All of the Above returned to the studio in November of 1997; this session was finally released in the fall of 2002: Go Figure. Along with Smoker, Scea, Shultz, Kohut and Yanda, this Nine Winds date also features long-time cohort Chuck Burdelik on reeds. In mid-2000 Short introduced the DepthPerception series of limited-edition CD-Rs. This label documents a number of studio and live recordings dating back to 1981, and features Burdelik, Shultz, Kohut, John McLean, Jeff Beer, Mark Tuttle and Jim Baker.